A recent University of Colorado Boulder research indicates that a range of less than 1 °F (or half a degree Celsius) of climate warming spanning the next century could make all the difference when it comes to the likelihood of future ice-free summers in the Arctic. The findings, which were published on April 3, 2018, in the Nature Climate Change journal, reveal that controlling warming to 2.7 °F (1.5 °C) would decrease the probability of an ice-free Arctic summer to 30% by the year 2100, while warming by 3.6 °F (2 °C) would ensure at least one ice-free summer. The research used simulations from the Community Earth System Model (CESM) worked at the National Center for Atmospheric Research (NCAR) and analyzed warming scenarios ranging from 1.5 °C to 4 °C (7.2 °F) by the end of the century. The study’s lower bound is a significant benchmark worldwide; in 2015, the international Paris Climate Agreement fixed a global target of limiting warming to 1.5 °C. Arctic sea ice extent has dropped overall in recent years with rising temperatures worldwide, but the effects of future warming remain unclear. 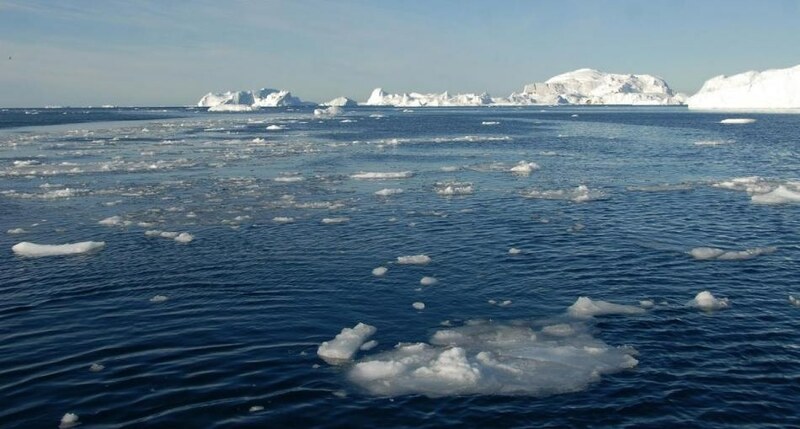 The latest findings show that various scenarios of carbon dioxide (CO2) emission levels result in considerably different results for Arctic summer sea ice. This dataset allows us to predict how soon we’re likely to see ice-free conditions as well as how often. Under the 4-degree Celsius scenario, we would have a high probability of a three-month ice-free period in the summer months by 2050. By the end of the century, that could jump to five months a year without ice. And even for half that warming, ice-free conditions of up to 2 months a year are possible by the late 21st century. But, Jahn continued, if warming remains at 1.5 °C, the likelihood of ice-free summers would decrease by 70%, delaying or potentially even avoiding such occurrence totally. The substantial difference in the results, Jahn said, might provide further incentive for countries to try to reach the 1.5 °C warming target so as to preserve present ecological conditions. The good news is that sea ice has quick response times and could theoretically recover if we brought down global temperatures at any point in the future. In the meantime, though, other ecosystems could see permanent negative impacts from the ice loss, and those can’t necessarily bounce back. The research received funding from CU Boulder and the National Science Foundation.